On January 2014, ArcelorMittal Flat Carbon Europe launches a new generation of prepainted steel, made with Optigal®, a new zinc-aluminium-magnesium alloy specially developed for organic coating. Combined with Granite® or Estetic® finishes, it offers the most performing and sustainable prepainted steel for the construction. Optigal® is a metallic coating applied by hot dip galvanising of a steel strip in a bath of zinc, aluminium and magnesium alloy. Organic coated steel made with Optigal® benefits from improved corrosion resistance. A highly compact, stable and protective layer is formed at early stage, leading to a much slower corrosion rate on cut edges and scratches. All tests show that Optigal™ has a performance that is at least twice better than regular Hot Dip Galvanized. Organic coatings such as Granite® or Estetic® made with Optigal® benefit for an unmatched flexibility compared to some competition products. These paint systems offers the high formability required in most standard forming processes used for construction products: profiling, bending, etc. Thanks to a lower density and an inferior coating weight of metallic coating, Optigal® allows reducing up to 4% the weight of elements compared with traditional hot-dip Galvanized. Mechanical properties remain unchanged thanks to the steel substrate. In the world, every year, five millions tons of zinc are extracted to be used for steels galvanisation while zinc mines resources have a limited life time expectancy. Optigal® ensures the preservation of natural resources since it uses less zinc than pure zinc coatings. By using Nature Granite® and Estetic® made with Optigal®, you remove all Substances of Very High Concern* from your product line. Nature complies with the European REACH Regulation and is always delivered with coatings and surface treatments free of hexavalent chromium compounds and heavy metals. Optigal® protective layer offers an unmatched performance for all roofing and cladding applications exposed to harsh environments. It can be combined with the ArcelorMittal organic coatings ranges of products Granite® or Estetic® finishes, and deployed in the shape of profiled sheets, cassettes and sandwich panels. ArcelorMittal has tested Optigal® in various natural environments (C3 rural, C5 maritime) before selling it four outside applications. The tests achieved include Salt Spray test ISO 9227, ISO12944-6, ISO 6270 and outdoor exposure EN13523-19. In all this tests, Optigal® has shown an excellent behavior, better in all cases than Zinc and Zinc Aluminium substrates. 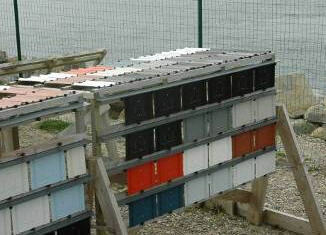 Optigal® has been tested by the Institut Français de la Corrosion in Brest. Optigal® has been approved by European certification bodies. It has been submitted to a battery of tests, which allows it to be used in the different European markets.